Seasons Greetings! Welcome Friends, to our first Home for the Holidays Blog Tour! If you arrived from Amy’s at Crazy Chic Design a special welcome. Isn’t her style amazing? A huge thank you to our sponsor King of Christmas for sponsoring our tour. At the end of the tour look for details how you can enter to win your own tree! Well, Julie and I are thrilled that you are here so let’s get decorating! Our Big Surprise: For our Home for the Holidays Blog Tour, King of Christmas is kindly giving away one 7 foot flocked unlit tree to one lucky winner. Here is how you enter the giveaway. Each comment (one per blog) qualifies as an entry. So, the more blogs you comment on in our tour the more entries for you. Also, if you subscribe to our blogs each subscription gives you two more entries. This giveaway is for US residents and you must be at least 18 years old. 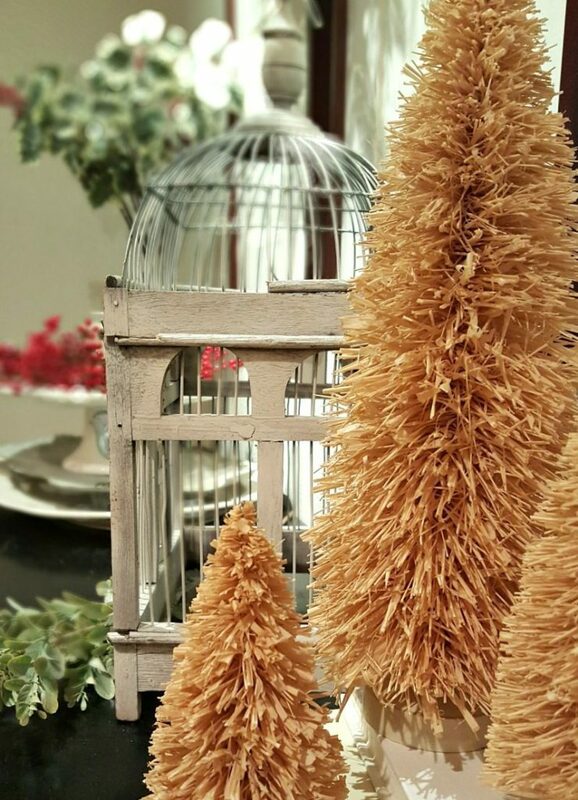 This King of Christmas tree giveaway ends on December 11th at 8:00 pm Pacific Standard Time. The winner will be announced that week. Next up on our tour is our amazing friend Lizbeth, Home and Fabulous who we know you are going to LOVE. Enjoy! 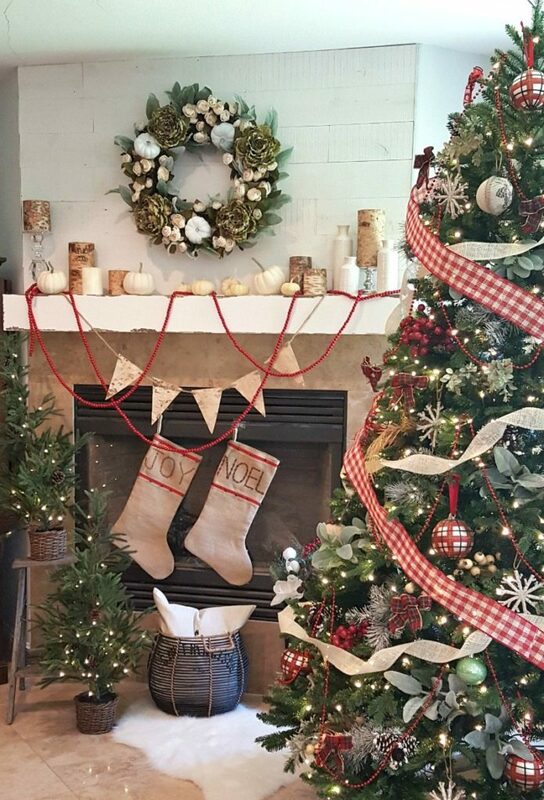 Be sure to visit all our friends’ homes for more incredible holiday decor ideas AND more chances to WIN!! Thank you for your visit and for your feedback. I have added the afghan with pompoms that is featured in my post…it is at the bottom of the post where it says “Shop the Post”….if you scroll through those pics you will see the item appear. You can click on that and it will bring you straight to the purchase link! It is a very high quality soft luxurious throw. I absolutely love it! Beautiful traditional decor! Love how the table that you showed on your IG stories, end up looking! Have a merry Christmas! Thank you so much! Your feedback and opinion means so much! 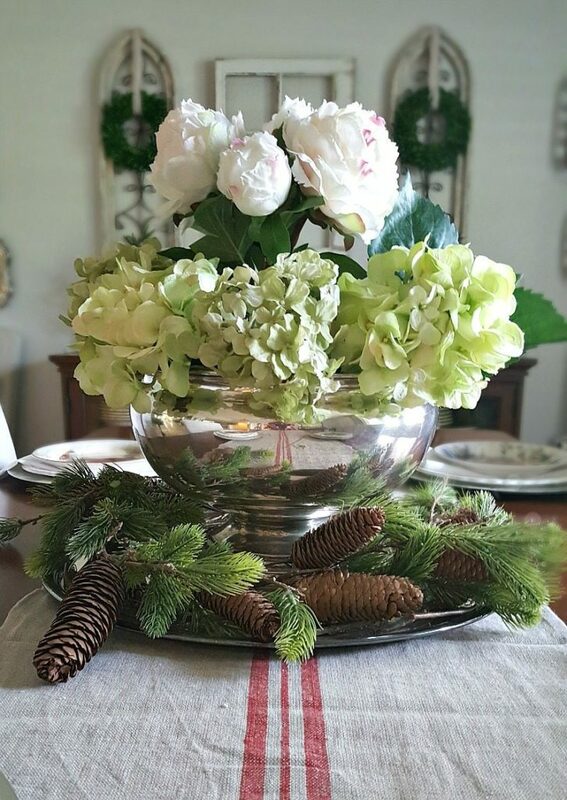 Julie and I feel so honored to have been included in this blog tour with such talented stylists like you!….still working on my tablescapes but it’s a start. Again, I appreciate your encouragement so much! Your beautiful heart and spirit is so evident in your home! Every room shouts a happy welcome, come sit for a spell, and I am so glad you’re here feeling! Merry Christmas! Ohhh!!! What a wonderful complement! I love that! Thank you so much. That means EVERYTHING to me! And thank you for taking the time to visit our blog. Julie and I are so happy to have you here. Wow!!! This is incredible. I love the layout. The flow and all the gorgeous details!! Where would we be without your love and support?? Probably wallowing around somewhere still searching for direction….But seriously! You mean everything to us. Thank you for your feedback! It means the world! 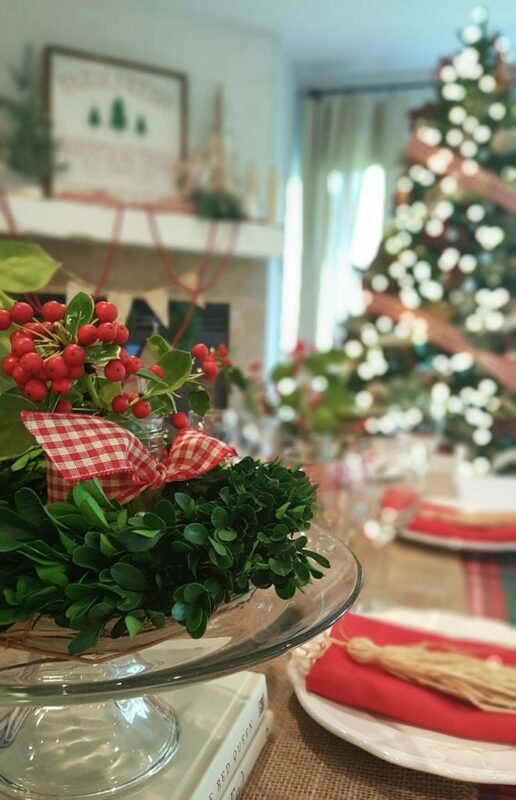 Your home looks beautiful and so festive! I love your touches of plaid! Thanks so much for stopping by! So fun to “see” you over here! 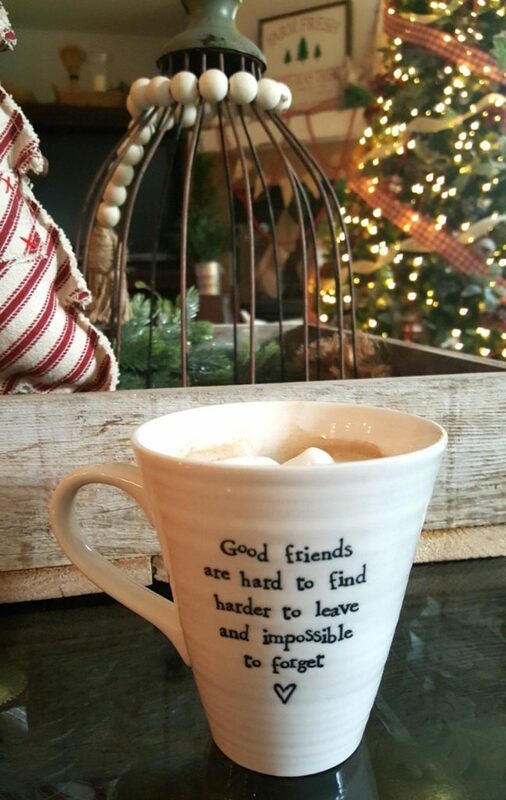 It makes our blog feel personal and cozy when are friends are here! We cherish your friendship, your support and your feedback so much! By the way….did you see the post about my favorite online fitness sites? I was thinking of you when I wrote it. I also updated the first workout with a free printable. You may still have questions about the exact exercises so I still need to work on getting video or at least photos to show the exercises. Maybe when Julie visits in December we can work on that! Sending our warmest holiday wishes and blessings to you and yours this season! Wow! Such a lovely tour! I felt as if I were walking through the different rooms with you! I love the simplistic feel with the right amount of elegance. Thank you for opening up your gorgeous home! 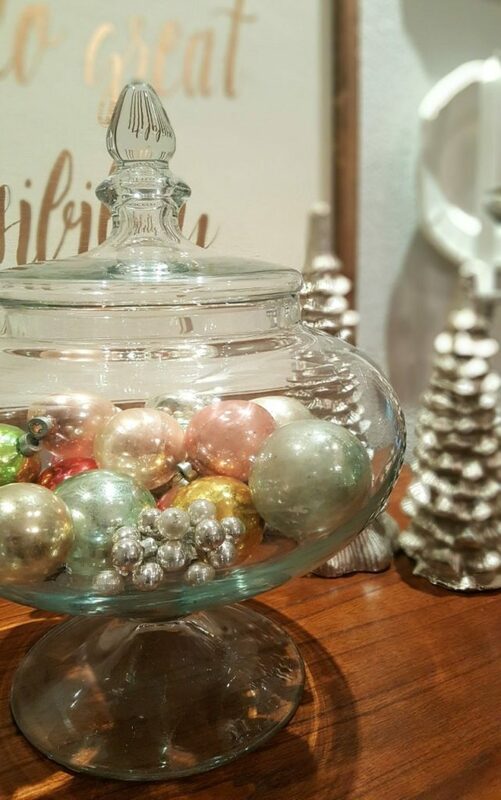 One of the many things that caught my eye was the antique Christmas balls on the dining room table! I may have to incorporate that into my home! You always know just the right thing to say! You are really so special! You are gifted with your words and your sensitive, intuitive caring way! Thank you for your feedback. I hope you know what you have come to mean to both Julie and I. Listening to your feedback helps us to know that we are on the right track, that we have chosen the right path…and that it is all worth it. Oh my goodness! I just loved this tour! Everything is beautiful, Jodie! You are so sweet! Thank you for visiting our tour!! (I know it was so long!! Eeek!) But thank you for coming over, taking the time and effort and for your feedback. Julie and I appreciate your support so much! Fantastic blog! 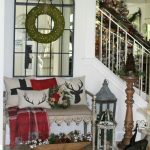 Liked the explanation on how a theme was chosen for your Christmas decor and what elements helped you choose the plaid. Everything is absolutely beautiful but I love your King of Christmas tree the most! I am so glad!! Thank you so much for sharing your feedback with me! I really wondered if I should even bother with the explanation of the “theme” because I knew people would mostly just be interested in the pictures. So it truly makes me happy that you got something out of it!! 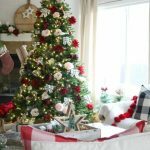 As I mentioned, I have never given my Christmas decor much thought so doing it for the first time gave me some insight into some unexpected benefits and why others might want to give it a try…. Thanks again for your visit, for your support, and for sharing your thoughts with us! Sending the warmest of holiday wishes to you and your family! Everything is just beautiful Jodie!!! Your home is so warm and welcoming! Love all your decorations and all your sweet touches! So sweet of you to visit and share your feedback with us. We are so blessed to have met you on IG and get the chance to connect across continents with you! We value your friendship and support. You are a constant wealth of creativity and inspiration for us! Thank you! So pretty! You both are so talented! 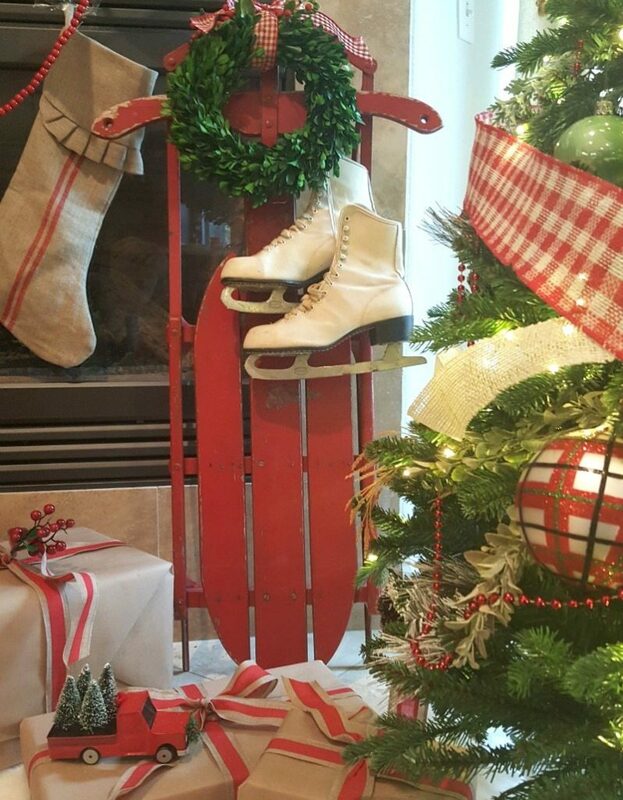 Love the look of a classic Christmas! Thank you for visiting and for your feedback on our Christmas Blog Tour. It means so much to us! The plaids add the perfect touch! I would never have thought of adding grapes to the tree but I love them. I also love your duvet cover! What a fun treat to see you over here! (I love seeing IG friends that make their way over!) I’m delighted to hear your feedback! Yes…my obsession with plaid is real, but it could be worse, right? I’m glad you appreciate it! And yes, a few unexpected items in the tree this year made it new and fresh for me. 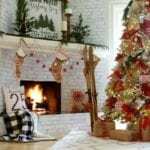 I have always done a totally “classic” Christmas so even though the theme is still tradition the new small details made it special. And….I just realized that you are good friends with my dear friend Rachel Rae!! Yeah!! Any friend of Rachel’s is a friend of mine! So happy to be connecting and getting to know each other even better! I lived the tour! Thanks for opening up your home. Thank YOU so much for taking the tour and for giving us your feedback. Your kind words mean so much to us! loved touring your home. Everything looks beautiful but still very approachable ??❤️️? Thank you! I love when people say that. While I love elegant, luxurious and glamorous….that’s just not me. I wear jeans, and plaid and boots every day! (when I’m not in my workout gear!) And my home is a refection of my very casual lifestyle. Thank you for taking the time to visit us and for your feedback. It means so much to Julie and me. Lovely decorations. Thanks for the giveaway! Thanks for taking the time to visit and give us your feedback. We really appreciate it! Good luck on the giveaway! I love your comfortable farmhouse style. Thank you so much for you sweet comment! I’m so glad you like it. You are right…it’s very cozy around here. Nothing fancy. But with kids and dogs and a small budget it is very liveable! Thanks again for your feedback and your visit. Gorgeous! I love the plaid! I don’t have much plaid in my Christmas decor so I’ll need to add some. Thanks for the inspiration! Yeah! I’m so glad you got a chance to check out the post! We appreciate it so much! And I’m super happy that you took away a bit of inspiration. 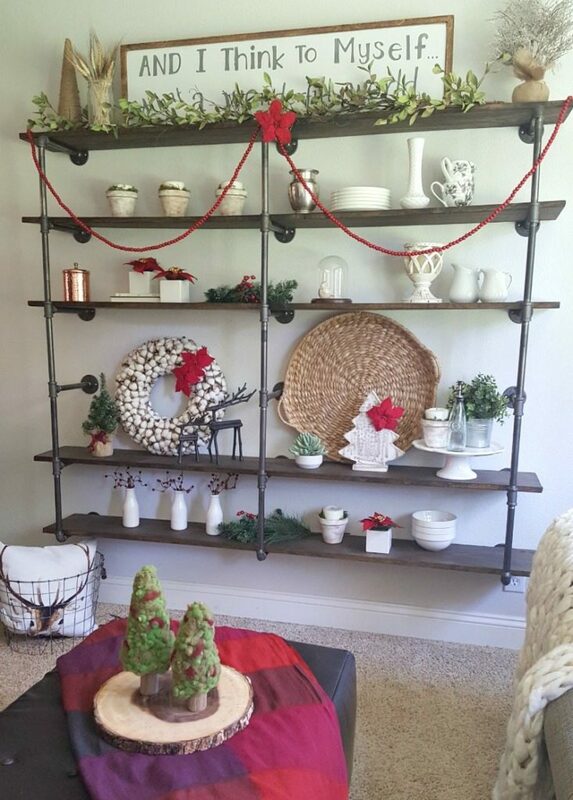 I think it’s so fun to at least add one new element to your holiday decor each year to keep it new and fresh! Plaid is my favorite! I am so inspired by all of your lovely decor! You both are such talented ladies. Merry Christmas!!! That means so much! Thank you for you kind words and for your support. We feel blessed by each and every one of our followers and are so happy to connect with you here! decor for years but unfortunately my decor is a mixed bag. I’m going to take your advice and put away most if it or give to someone that needs some Christmas cheer. Then set my mind to formulate my vision for what inspires me most and work toward that goal! Thanks for every word written and your home is beautiful! Thank you SO much for sharing your story and giving me this feedback. I really wondered if anyone would read this and if it would make a difference. I realize that most people are probably mostly interested in the pictures. But I am so glad I did. 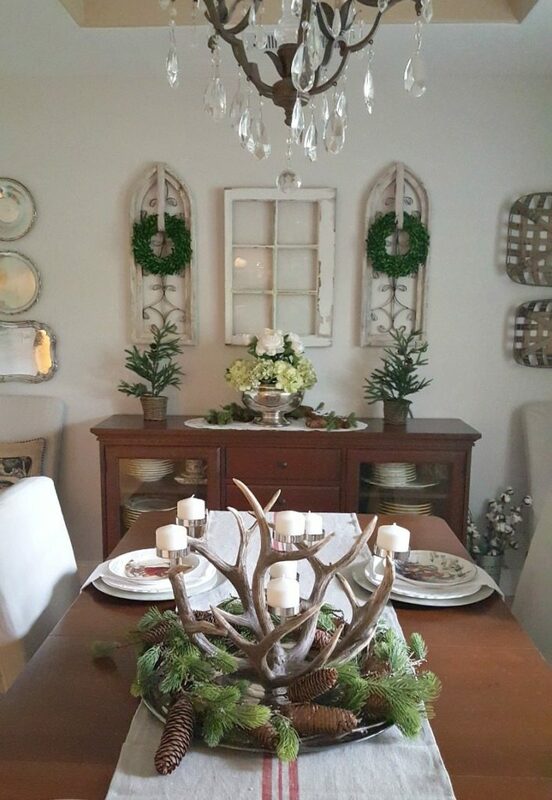 Just to know that I connected with one person, with you, and helped you consider a new and “inspired” way to decorate makes it all worth while. I was exactly like you before this year so I totally know where you are coming from. 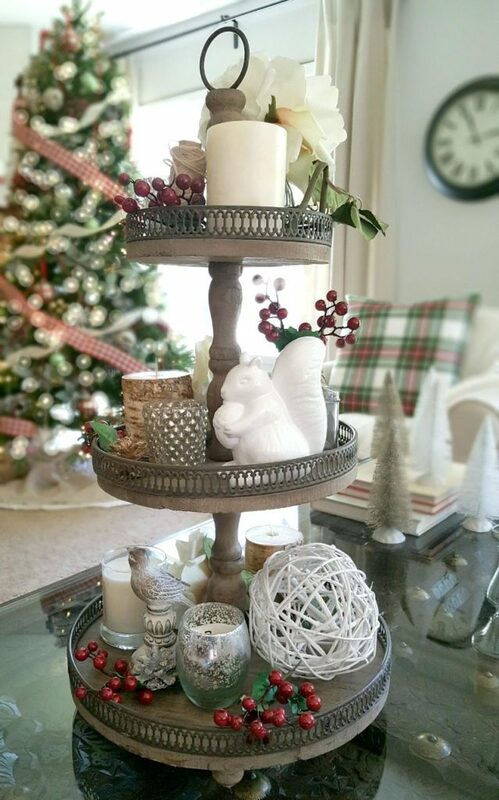 My thought is that you don’t need to get rid of the decor you don’t use, but year to year as you decide on your theme you can simply pick and choose which items you will use and which items you will save for next year! Have fun decorating and enjoy!!! I absolutely love your style! I had never thought about choosing a theme for my Christmas decorating. I’m glad I popped over to visit your blog. Great decor and great tips. Thank you! Thank you so much for your sweet comment! Since I had never chosen a theme before I thought I would walk folks through the process. I never would have thought about it either if it hadn’t been for this blog tour. And when I finally did give it some thought I realized there were benefits that I hadn’t foreseen. That’s why I decided to share! And I’m really glad I did if it helped give you some ideas! Thanks for coming to visit! Julie and I appreciate it so much! Wishing you love and blessings this Holiday season! I’m so glad you liked it! It was our very first Christmas tour so even though we put in the extra effort we were a little insecure about how it would turn out. Thanks so much for your visit, for your support and your kind words! I haven’t checked the subscriptions yet but remember you can add 2 additional entries (for the @kingofchristmas tree giveaway) if you subscribe! Thanks for the chance to win the awesome tree. I’m also an email subscriber! We really appreciate your visit, your comments, and your support! I also have a minor obsession with bottle brush trees….old, new, large and small….I am drawn to them for some reason!! I wish you luck in the tree giveaway! Those @kingofchristmas trees are really quite amazing so I have my fingers crossed for you! 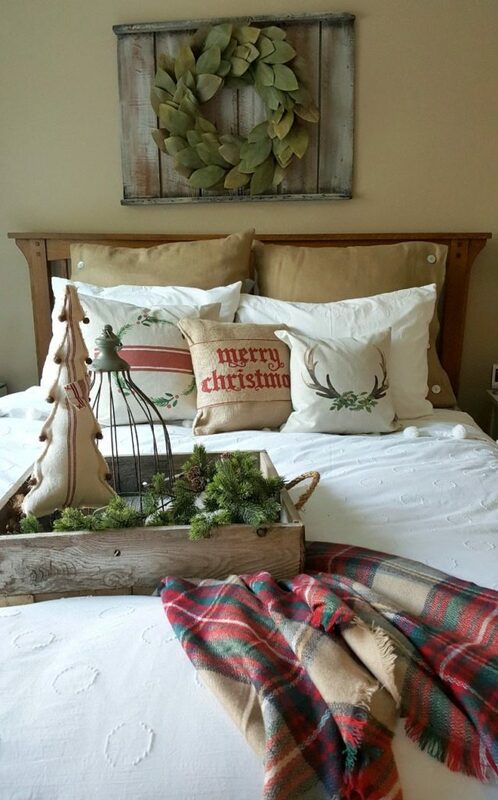 I absolutely LOVE the plaid and rustic elements! They look amazing, traditional, and fresh, all at the same time. The tree is decorated perfectly, too! This scene looks like it belongs in Country Living magazine! I also want to say thank you for all your support and encouragement. It’s been a pleasure to work with you on this tour! Awww! You are so dear and special to us. I can’t really express how much this means! 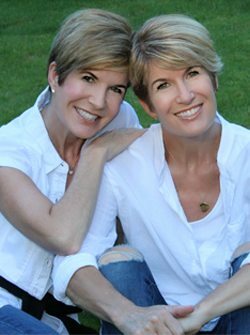 Getting to work together on this blog hop has been a sheer pleasure and an honor! Thank YOU for your words of encouragement! Happy Holidays and God Bless you and your family this holiday season and always! Wow!! That totally makes my day to hear that I may have provided inspiration to you!! I admire you sophisticated and creative style SO much! I feel blessed to be in your company 🙂 Thanks for the sweet comment and for taking the time to visit! Wishing you the merriest of holiday celebrations at your house!! ABSOLUTELY gorgeous, Jodie! I love it all! You have such great tips, too! I might use one of my plaid scarves for a tablecloth like you did. Plaid is my fave! Love this post! Thank you so much for taking the time to come and visit! And for your super sweet comments. It truly makes my day when I hear that I have provided inspiration to someone to help them create something new in their space! 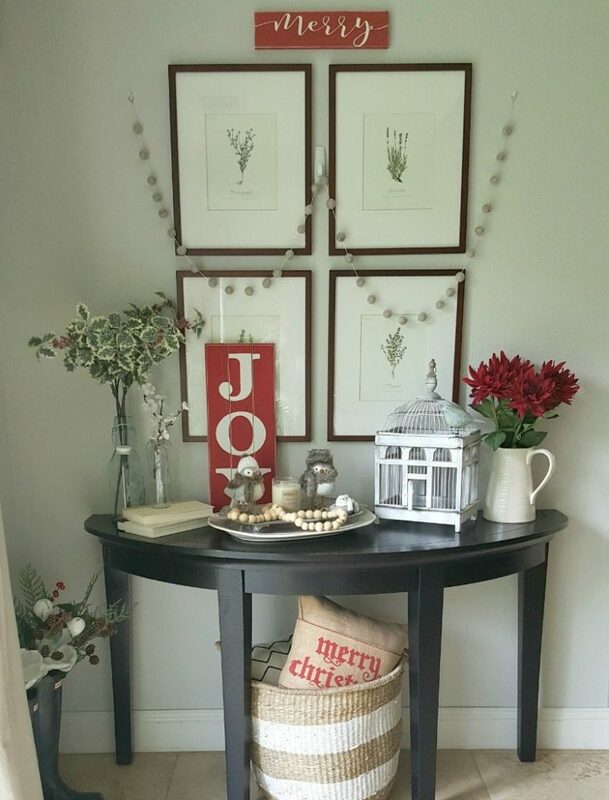 Redecorating my space brings me such joy so I am so happy to pass a little of that on to someone else….like you! Happy holidays and God bless! Thank you so much Heather! Your feedback means so much! I’m so glad you were able to get inspiration for something that you are excited to use in your own decorating. That makes me so happy. Oh my goodness I don’t even know where to begin! Every detail is perfect and I love the tips about simplifying and picking a theme and sticking to certain elements. Jodie, you are the CUTEST wearing your plaid and matching your decor! I’m obsessed!!! 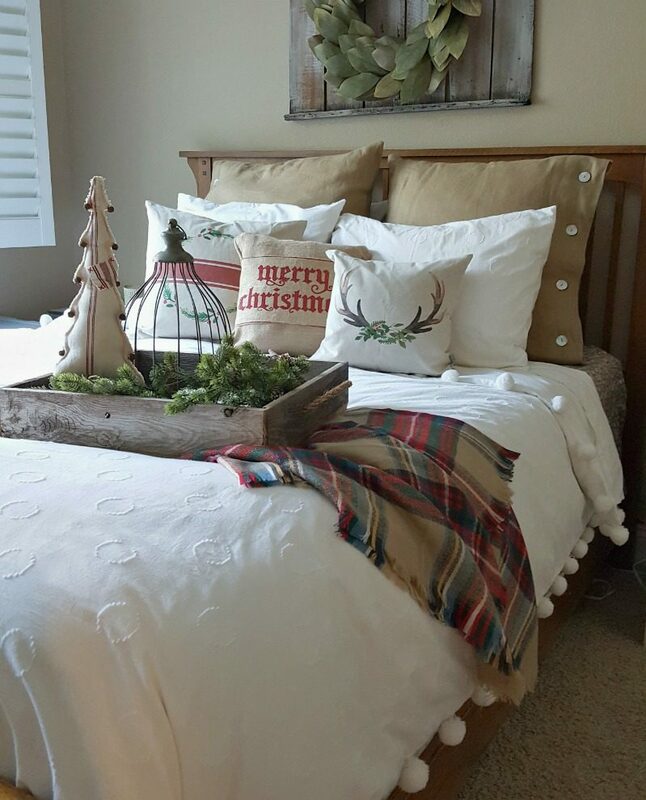 There isn’t one thing you haven’t thought of and I love how beautifully decorated even your bedrooms are for the season. 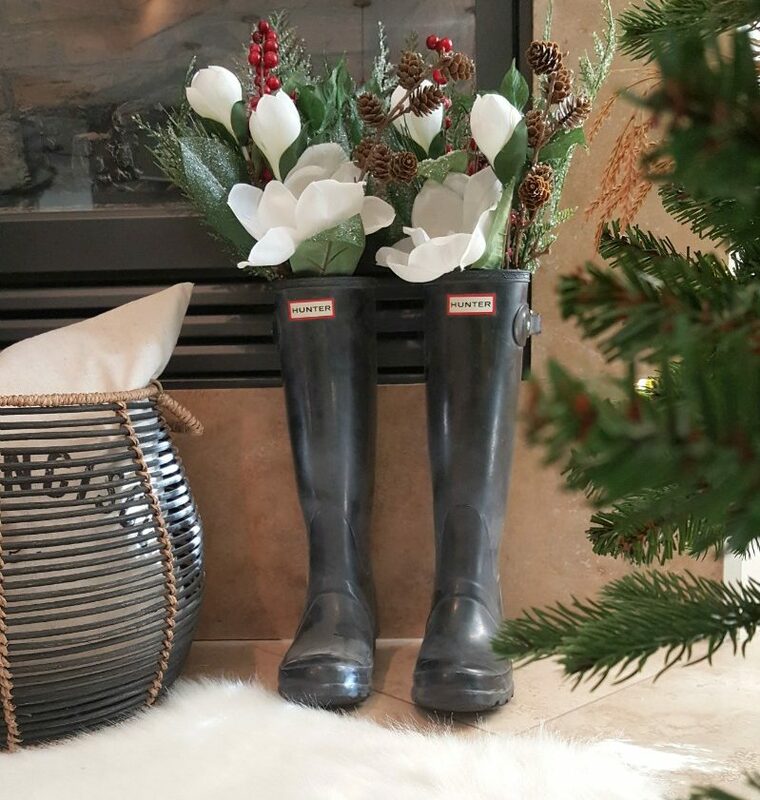 I love all of the vintage items and Hunter boots and that Pottery Barn plaid pillow it’s just divine! I need a space I can do in my home where I can add a lot of red because now I’m craving it!!! So so beautiful and magical this has been! Love both of you girls so much! Wishing you both a Merry merry Christmas!! ???❤️️??? Ohmygosh! Could you be any sweeter? Now I don’t even know where to begin! hahah! Thank you so much! That is how I felt after reading yours! And I showed my boys some of your pics and how beautiful and I said see….this is how we could decorate one year….all in white and silver and gold. And they agreed it was beautiful but when I said see, this is how pretty it could look without red, and they said “NO!” that they would miss the red. So….I will just have to lust after your decor for now. Thank you for your kindness, your complements and all your ongoing support! It is EVERYTHING! What a fabulous holiday tour! 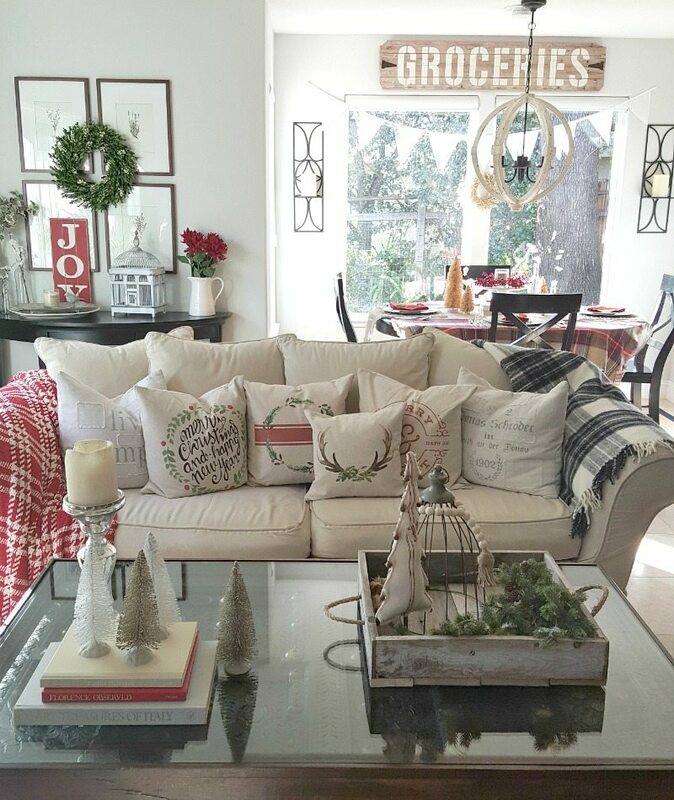 Your home is utter perfection and I enjoyed looking at all your decor in every photo! You did a spectacular job and you should be so proud! Thanks for all your great friendship and for being a part of our holiday tour! You are so super sweet. A complement from you is worth the world to me! Your support and encouragement has helped me so much in this wonderful blogging journey!So glad we are friends! 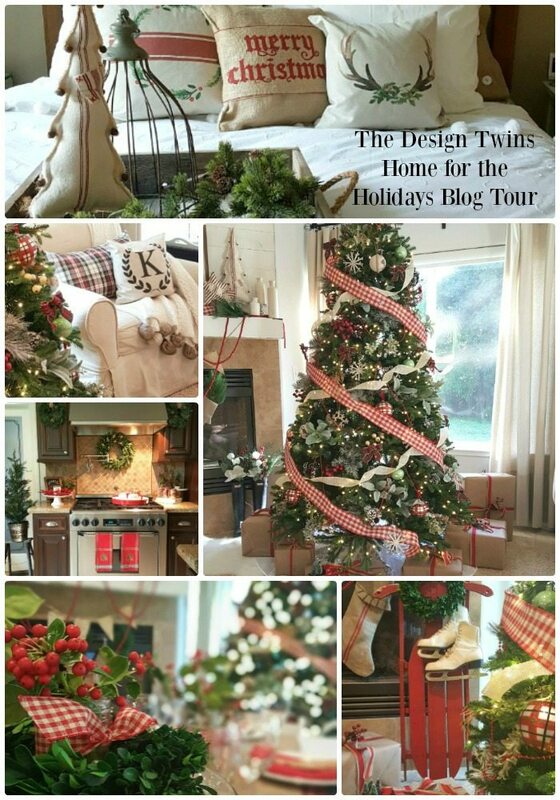 Julie and Jodie, I just love the amazing Christmas home design inspiration you have given me on this home tour and enjoy reading your blog and can’t wait to incorporate your design in my home. Your King of Christmas tree is absolutely gorgeous and my loves, you are both just so precious to us in the Instagram world. Thank you both so much. You are the sweetest! Jeannie. You have become such a special and treasured friend to Julie and me. Your gift of friendship has blessed us more than you can know! Thank you for your on-going support and love! 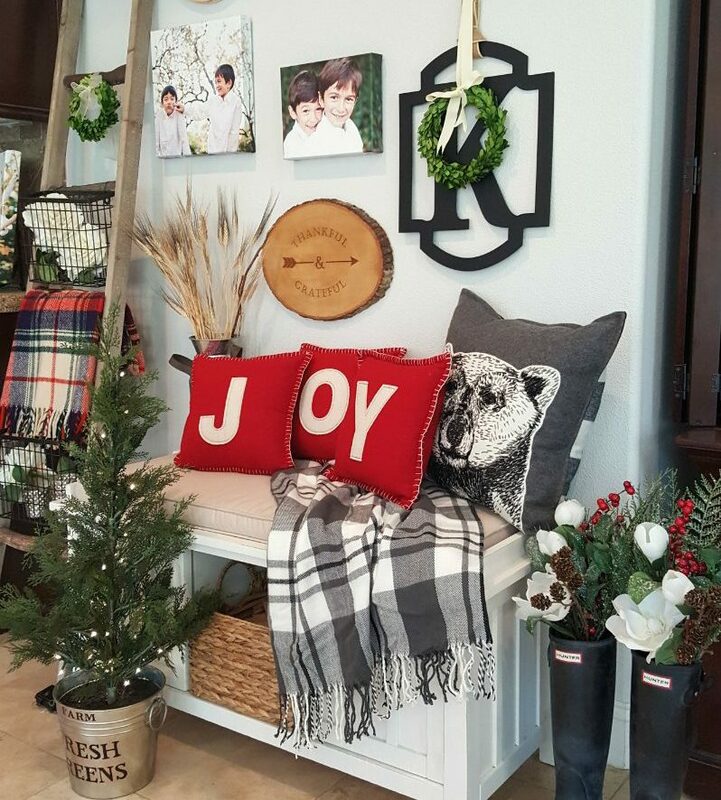 You have created such a cozy, warm and inviting space! I just want to curl up and drink hot cocoa in there lol. Well done J&J! Thank you so much! You are a constant source of inspiration for us both so that means a lot! And…that invitation for hot cocoa is open any time!! Thanks so much for stopping by! We are so honored to be in this tour together! You’re so sweet! Thank you for your feedback and for your complements. I am really trying to “take them in” as my mom would say, because it boots my confidence and just makes me so happy! Thank you for taking the time to go through my tour…and I heading over to do the same soon! You inspire me so much so it feels so good to be surrounded by such support and love! What a spectacular tour, Jodie!! 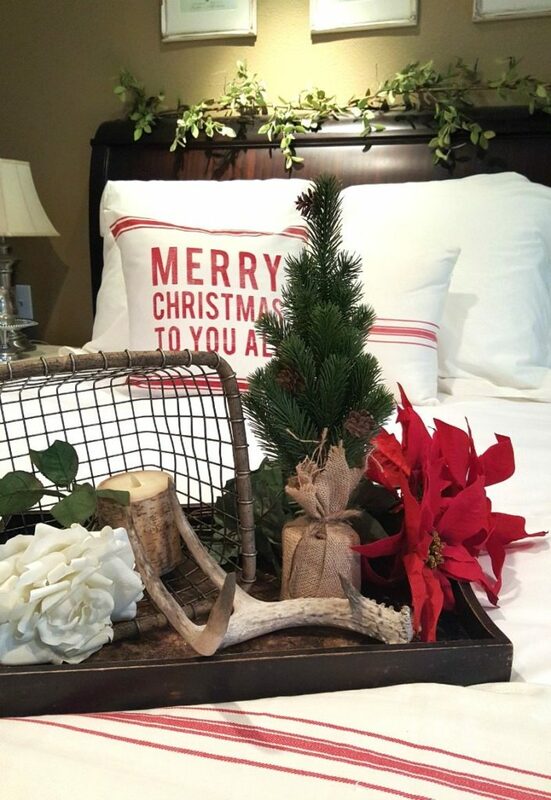 Love your classy red and plaid Christmas and how organized and truly educational your post is. Bravo! ?? ?? I really appreciate your feedback. Thanks so much to take the tour and actually read through. I commend you because it was SUPER long! …..I am still so new that my insecurities sometimes get the best of me. But I can’t help adding a bit of the “how to” part. I guess once a teacher, always a teacher! Haha! Your home is just beautiful and how you incorporated everything together is amazing! 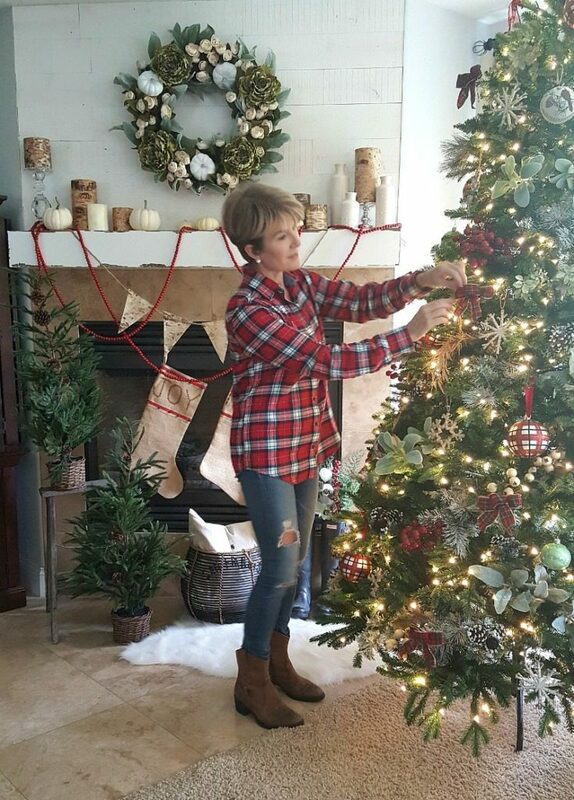 I am also a lover of anything plaid and your Christmas tree looks so pretty, big and full. I keep hearing about the trees from Kings of Christmas and have to say I must get one. Thank you for sharing! Yes, I’m kinda obsessed with plaid too, as you can see! Thanks for your kind words. It means a lot to both Julie and me! Our warmest wishes for a wonderful holiday! Your have styled your home so beautiful! 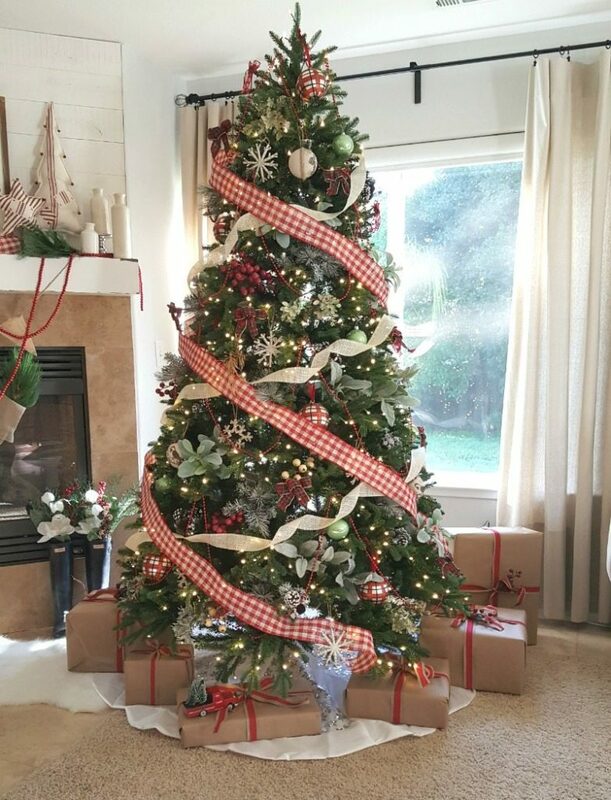 I also love anything plaid and can I say your Christmas tree looks so full. 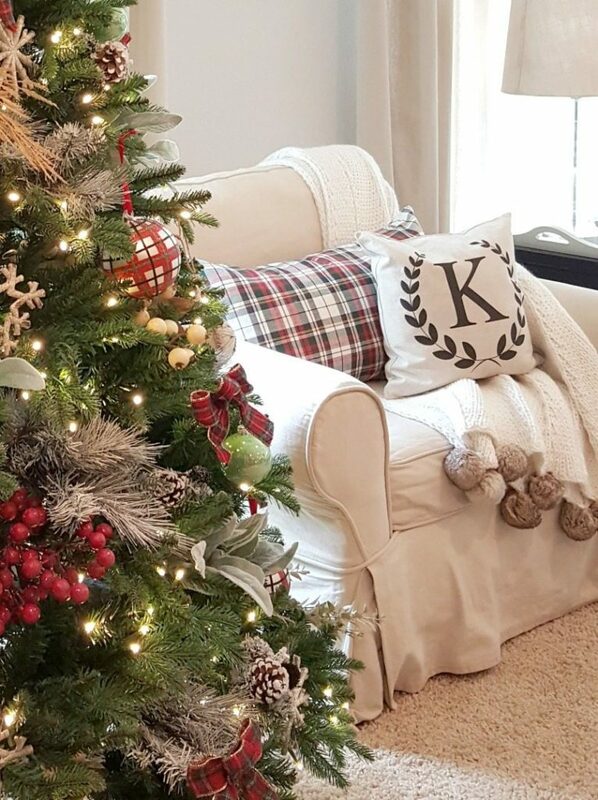 I have been seeing King of Christmas trees all over IG and the quality looks spectacular and really need to get one to replace my artificial tree that I have had for several yrs. Thank you for sharing! Thank you so much for your feedback and for your thoughts. Yes, the King of Christmas trees are really high quality. Good luck on the giveaway! Maybe you’ll win a new one for yourself! Thank you for taking the time to share your feedback! We all have such different styles but it sure is fun to appreciate all the differences. Haha! Thanks! It’s one of the first times I set up a tripod and tried out the self-timer mode on my phone. Hee hee! 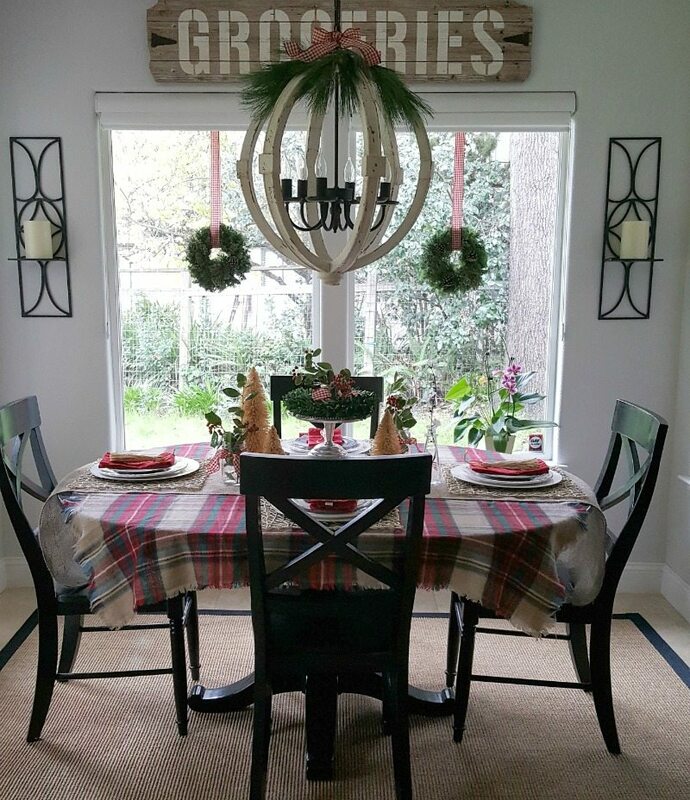 Your home is beautiful and loved the decor! I love the use of the traditional bright red and shades of green but with a more modern look. The best of old and new. Thanks for the chance to win a tree too! I have never had one, but I think I’m ready. Fingers crossed 😉 Merry Christmas! Your home is gorgeous and oh, so cozy! 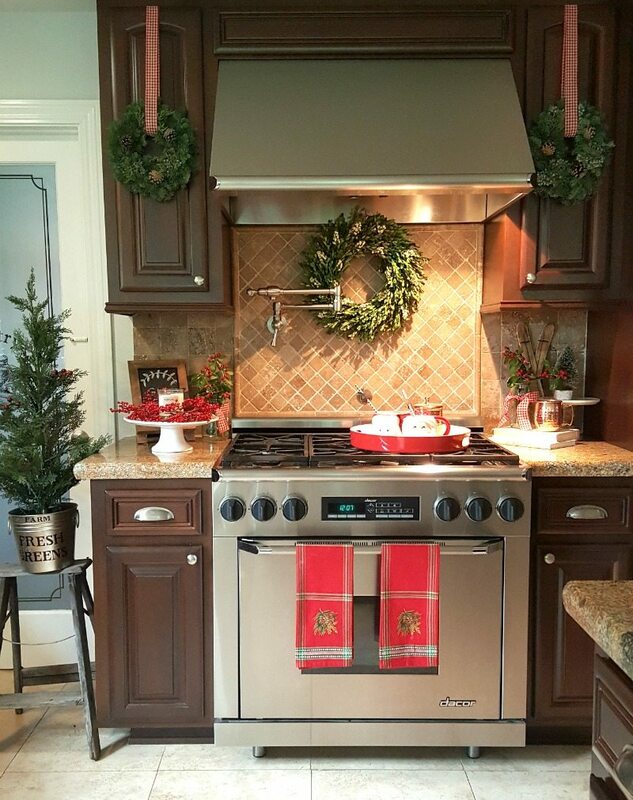 I love everything about your Christmas decor! It helped me understand how you can start with a neutral pallet and go in whatever direction you decide. It’s just gorgeous and thank you for sharing it with us! Not sure what inspires me more – your positive spiritual messages or your classic interior decorating. Thank YOU for serving as such an inspiration!!!! 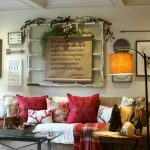 I saw your post on the plaid pillow and off I went – 4 visits later to Pier 1 – and my family room is looking simply special. I am a neutral kind of girl, LOVE THE WHITE, but in this instance your inspiration is making me smile. Love and blessings to both of you!!! Such beautiful taste and Holiday selections ! 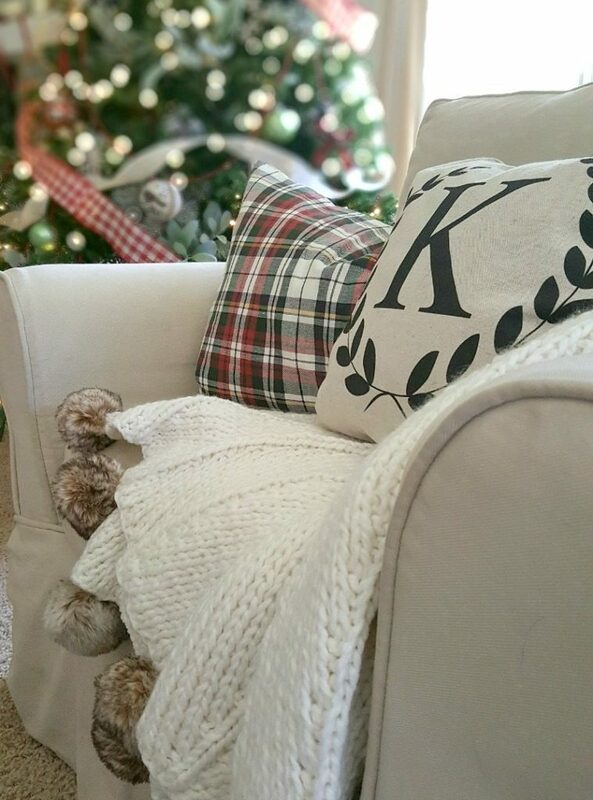 In the last photo of the Family room there is a slight photo of a white knitted throw/blanket – is that the same one shown with the Pom pom’s or is that a different one ? So inspiring, I want to throw all my decor out and start over ! Do you ever do any desert decor ? I live in Palm Desert and have more of a chubby chic look…anxious to see what is next ! Thank you for putting all this on your site and have a very Merry Christmas ! You have done such a wonderful job with every room…..your home is so inviting and charming….I can even smell some yummy hot chocolate in the background. Thank you for being an inspiration to us all. Kind words from you are like a warm hug! Thank you for all you support and love. Thank you for taking the time to hop on over and visit us here! Happy holidays to you and your family. What a gorgeous tour this is, and filled with wise words for all to hear! Wishing you ladies a wonderful holiday season! Thank you so much! So happy you were able to come and visit! Heading to your site now for a little look-see!! Happy holidays and blessings to you and your family! Popped over to take a peek at your beautiful tour!! I love the mantel so much. Wow. You really outdid yourself!! Tree is on its last legs-would love to win one! Your home is gorgeous! Love the tree from @kingofchristmas. Thanks for sharing! Your decor makes me feel at home. Jodie! Wow, wow, wow!! You hit it out of the park with this amazing tour!! 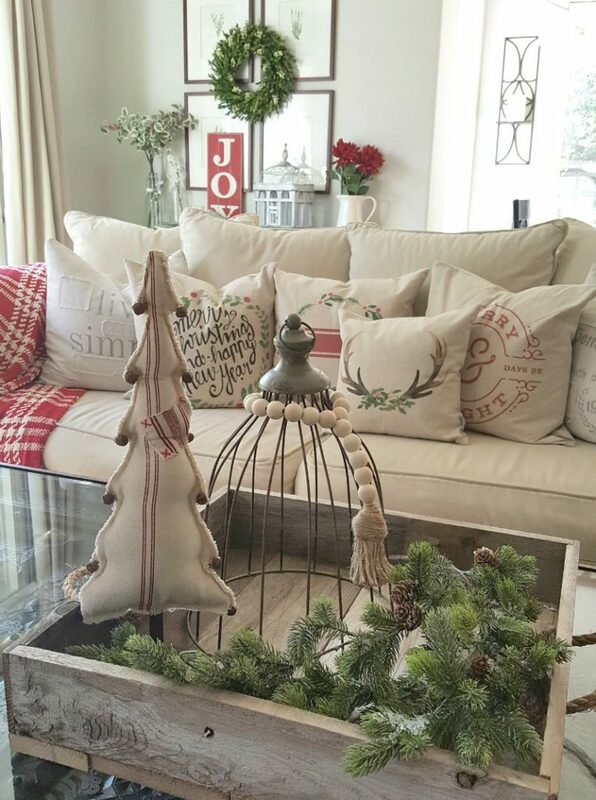 love your cozy rustic style and how everything just flows! 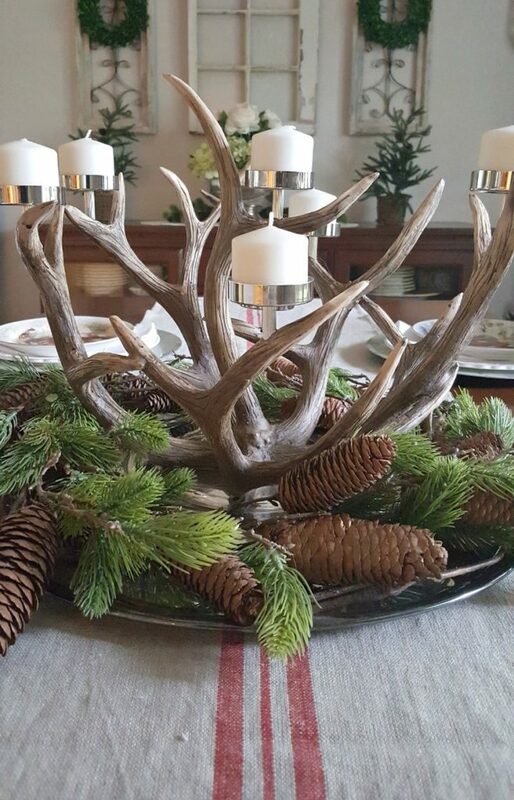 The red plaid is such a cute touch along with all the natural elements, it is all so well done! Lacey and I are thrilled to have teamed up with you on this holiday tour and hope for many more to come!! I love the natural colors with just a pop of red and green. Your decorating is so intentional. Looking at your home is providing true inspiration. Thanks for sharing. Merry Christmas! I am a painter and I love color and plants! I have been following you on Instagram for quiet a while. Enjoy you so much. This is the first time I have read your blog but could spend hours lost in it! You’re so sweet! Thank you for following! And thank you for coming over from Instagram to visit us here. It means so much to Julie and I! As you know, we are new to blogging so your feedback means the world to us!! Thanks for the great tips. I really enjoyed your beautiful home tour as your home seems so warm and cozy! Merry Christmas! Thanks so much for your kind words! We’re so happy you stopped by! Very nice! I love the design flow , each room a little different and all cohesive. 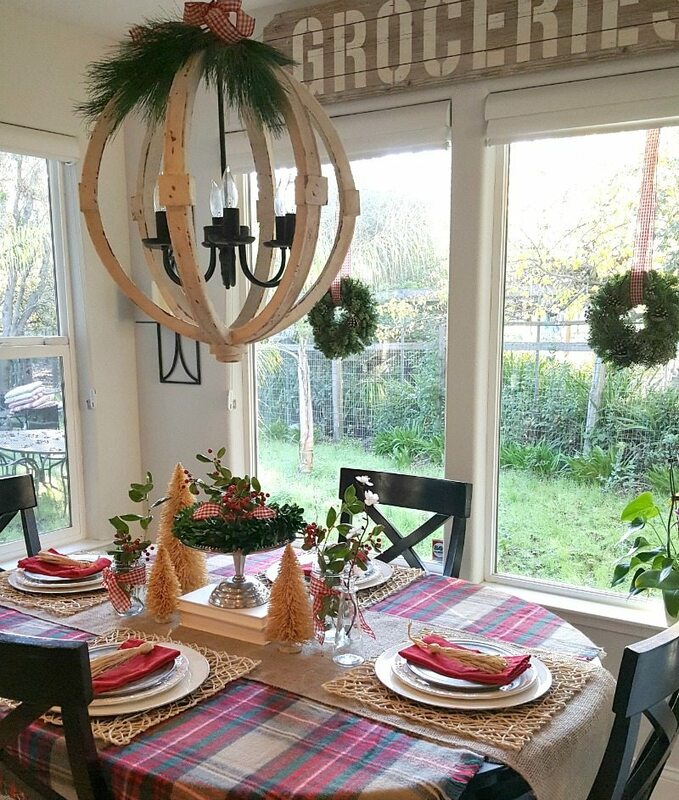 Plaid is so popular, and you have incorporated it into your Christmas decor flawlessly! Happy Holidays to you and your! 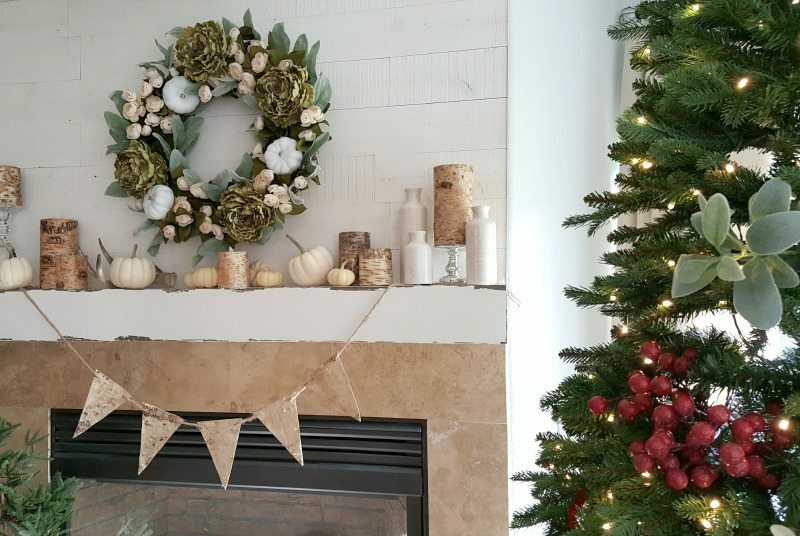 I love to see that you change your decor throughout the season and switch things up from season to season. I, too, have fallen in love with plaid. I am particularly fond of black and red buffalo plaid. You’ve given me ideas for how to work in other plaids. hi there…..all the rooms are flowing & fabulous. 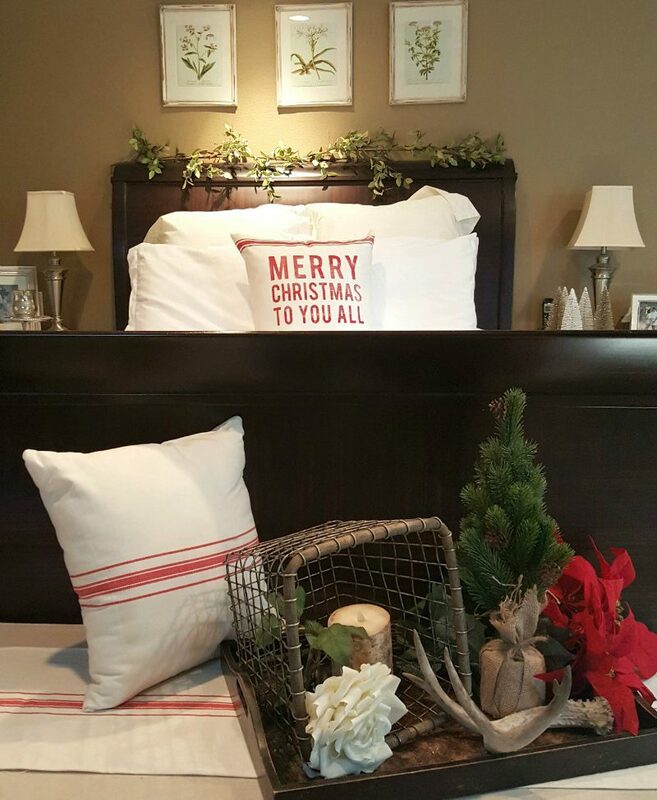 would love to know where the “guest bedroom” bedding is from? I am in the process of starting my holiday decorating. I know call me crazy it isn’t even Halloween yet. That’s just how I work though. I have been looking for throw pillows just like yours in your great room. Will you let me know where you found those. I would be so greatful! 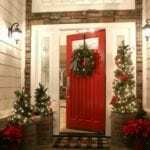 I loved your Christmas home tour, the decor is warm and welcoming and very relaxed! Every room was a delight! 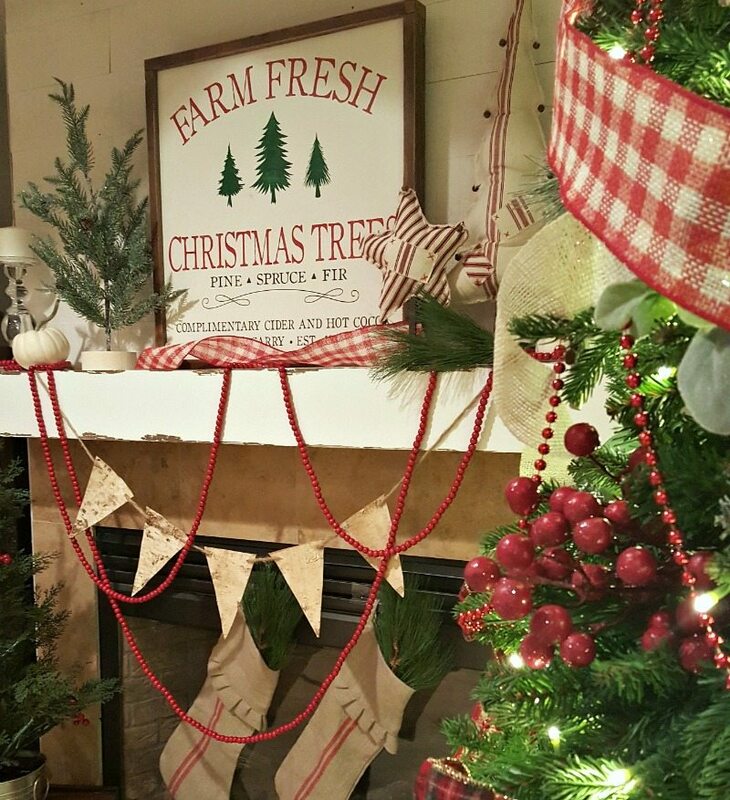 Your tree is fabulous with its check and plaid decorations, I love the plaid you have incorporated throughout your decor, traditional and rustic elements. 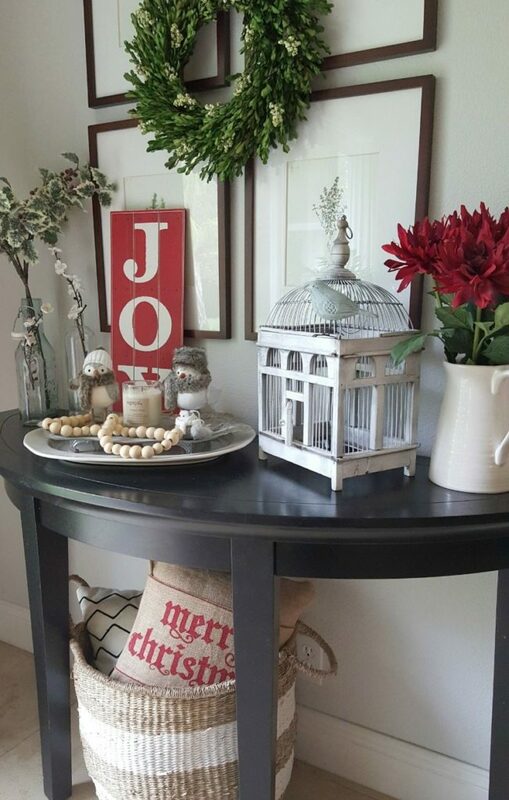 The pops of red and soft green are a lovely addition! Excellent work. a very inspiring decoration for Christmas. thank you for sharing this wonderful piece of information. Of course sweet friend! We are so glad you enjoyed this post and we love inspiring people like you to reach your goals!